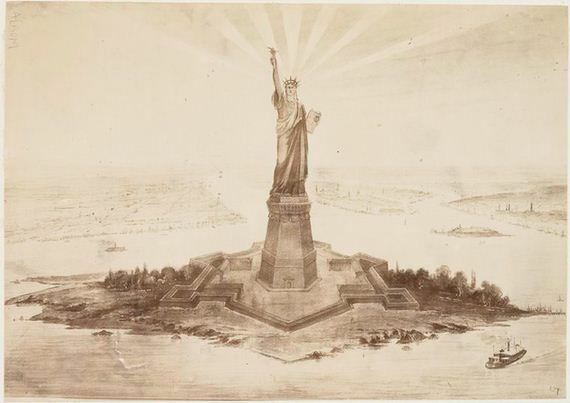 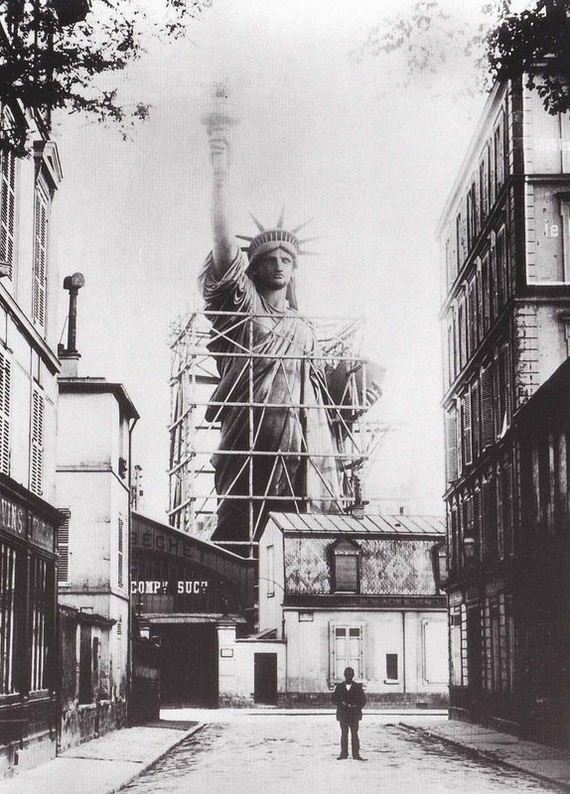 Lady Liberty’s first home was a Parisian neighborhood. 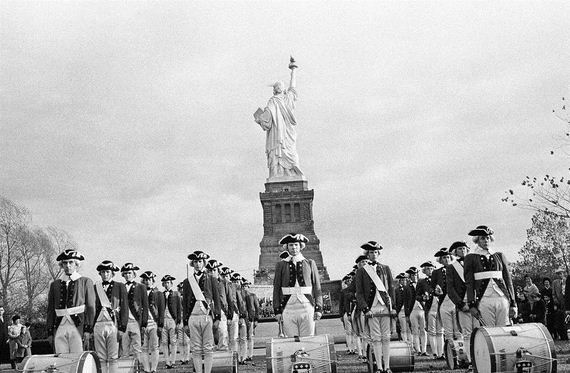 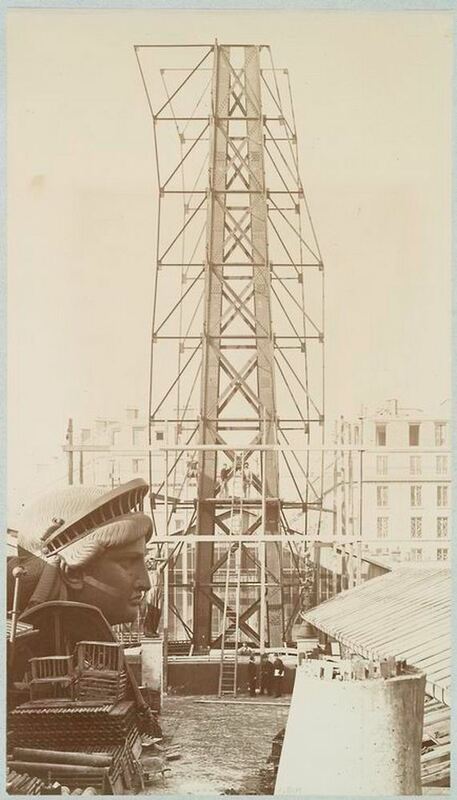 Men at work on the construction of the Statue of Liberty. 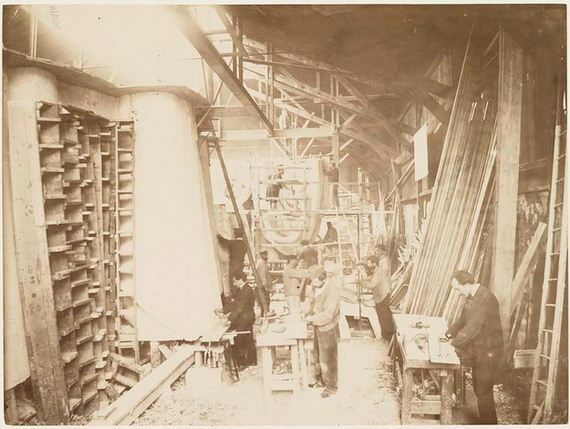 Workers hammering sheets of copper used for the exterior covering. 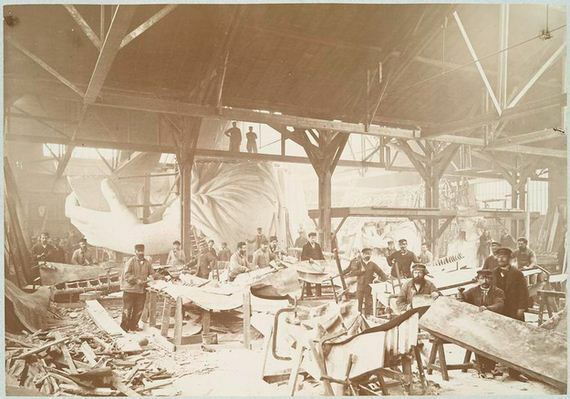 View of the workshop, with models of the Statue of Liberty in the background. 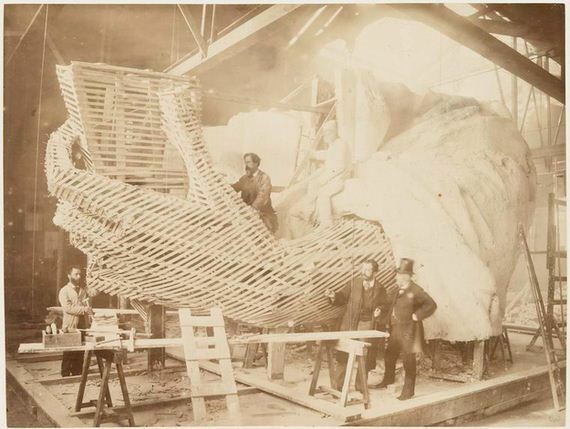 Workers shaping sheets of copper. 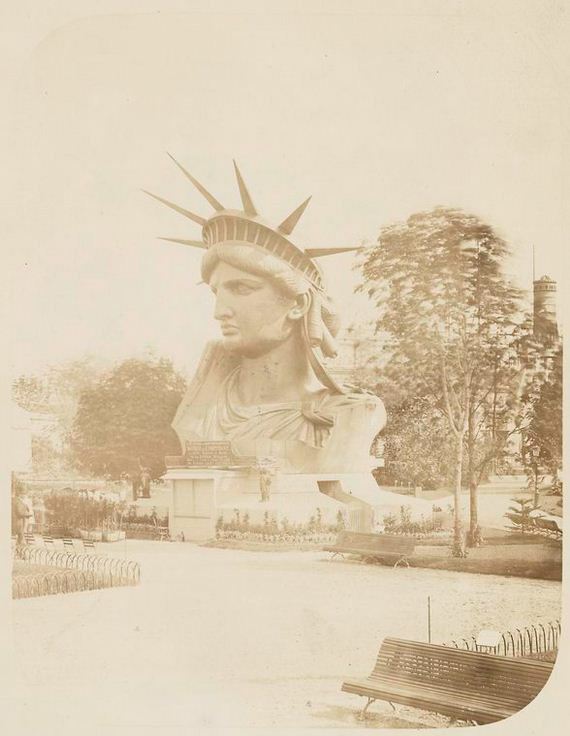 The head of the Statue of Liberty on display at the Paris World’s Fair, 1878. 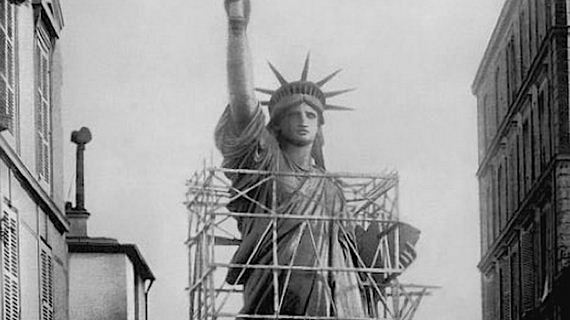 Scaffolding for the assemblage of the Statue of Liberty, of which the head is shown at left. 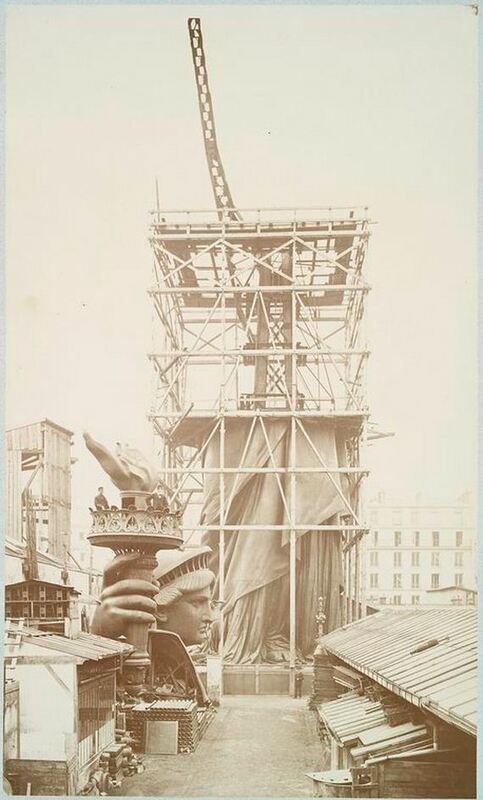 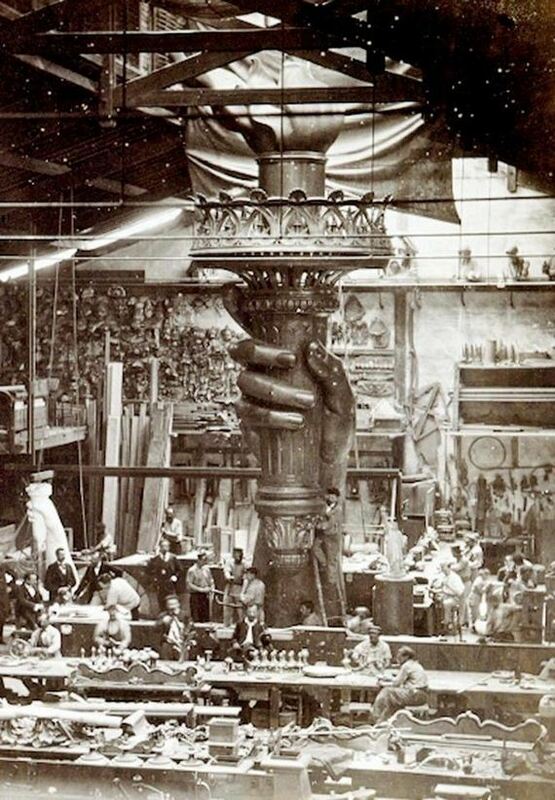 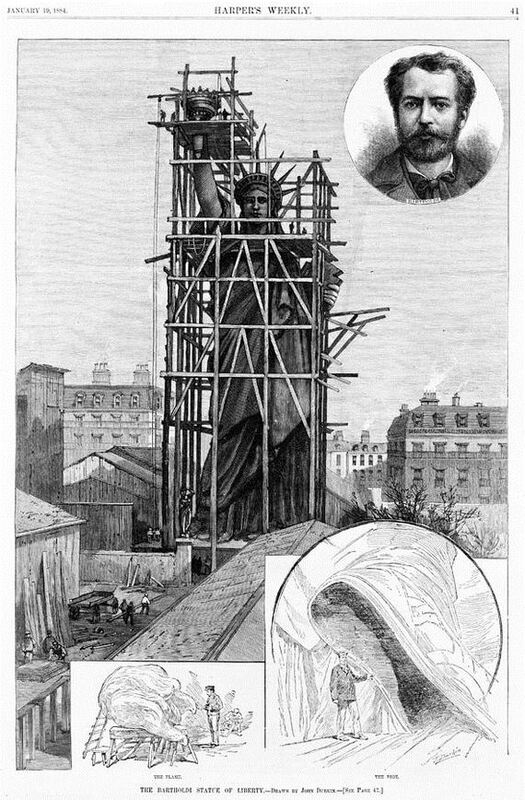 Assemblage of the Statue of Liberty in Paris, showing the bottom half of the statue erect under scaffolding, the head and torch at its feet. 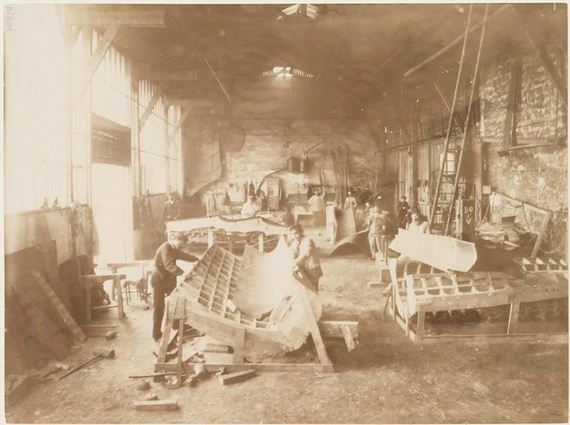 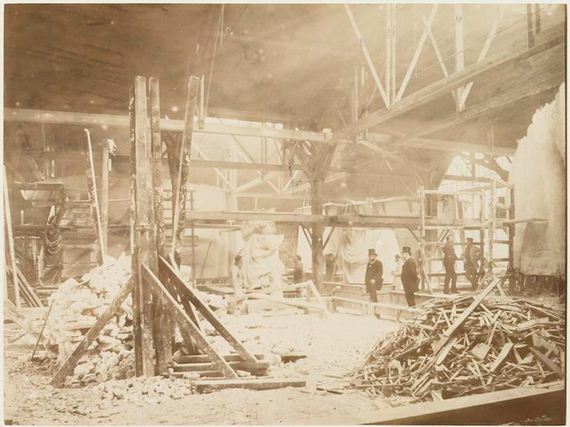 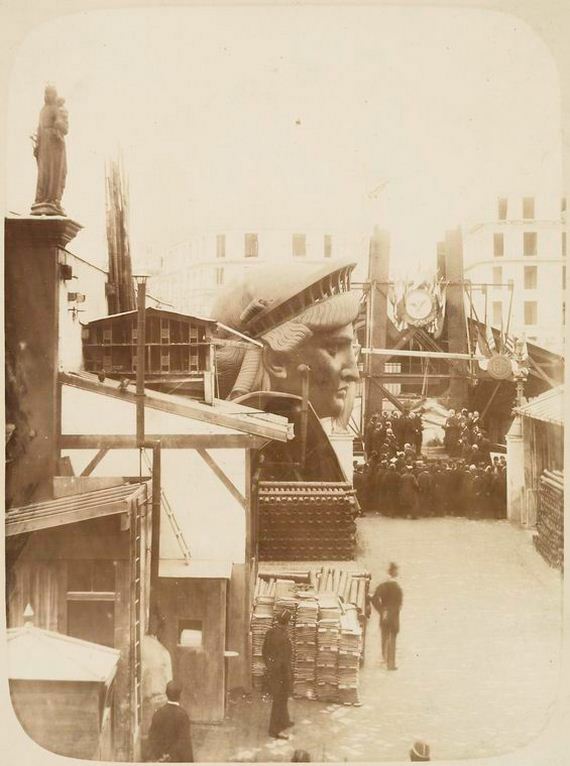 View of the external area of the workshop in Paris, showing construction materials, the head of the Statue of Liberty, and a group of men gathered in front of the left foot of the statue. 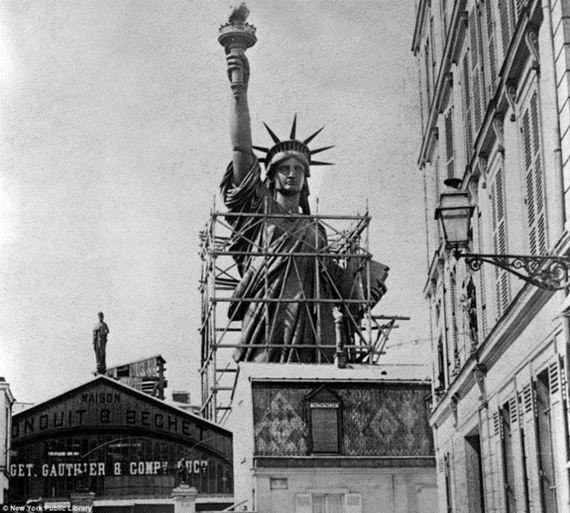 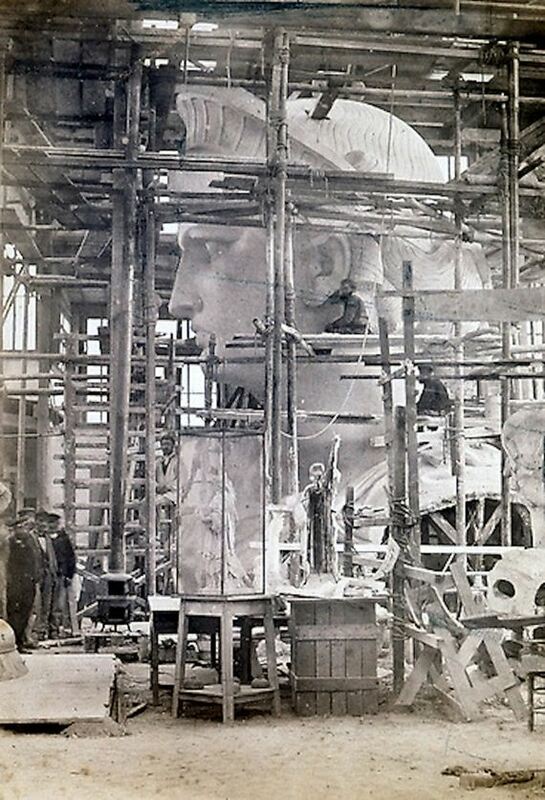 Assemblage of the Statue of Liberty in Paris. 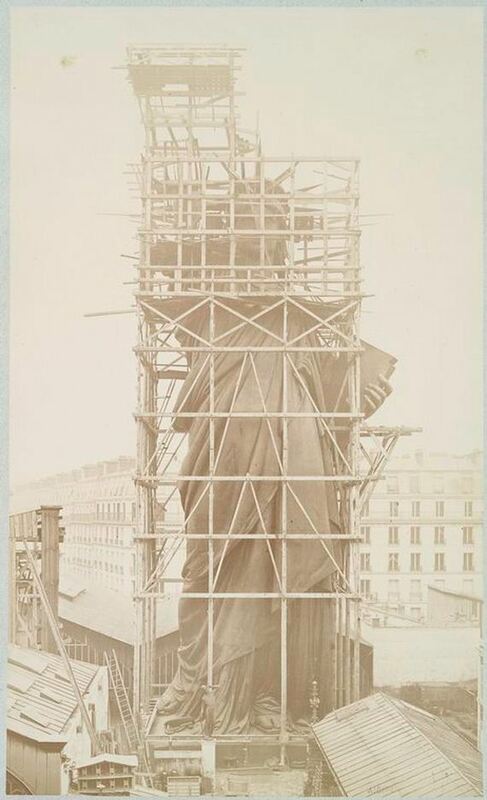 The Statue of Liberty completely built in the courtyard of Frédéric Auguste Bartholdi’s studio in Paris.